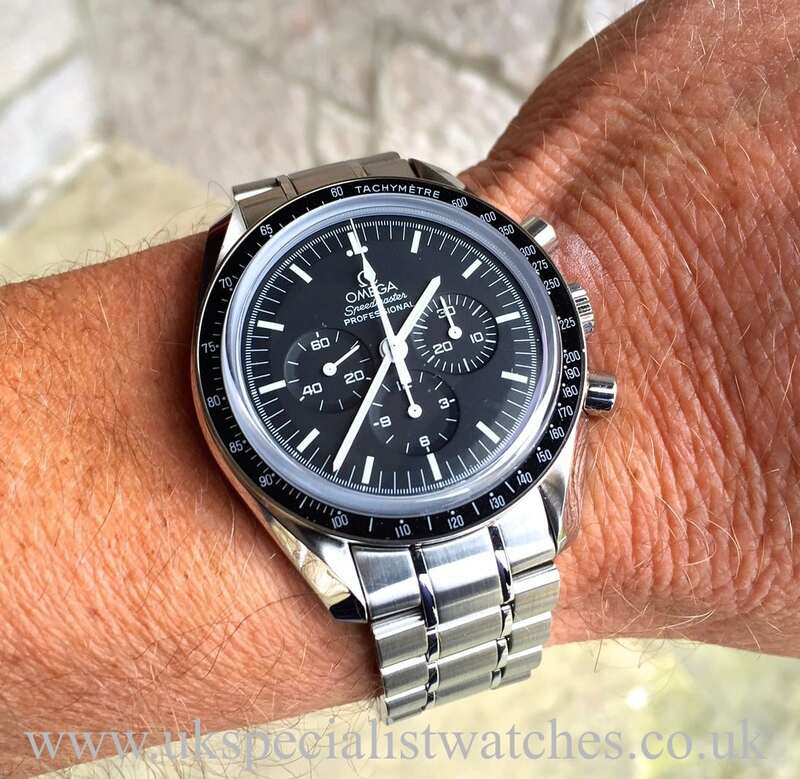 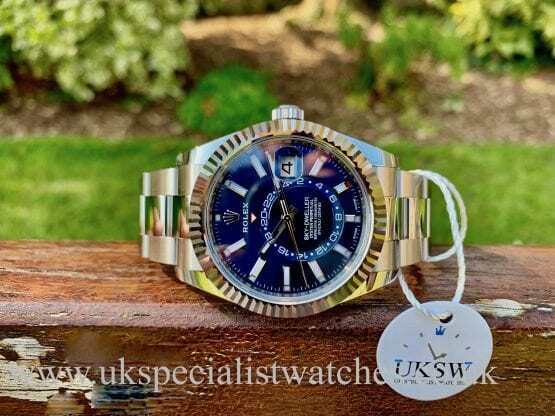 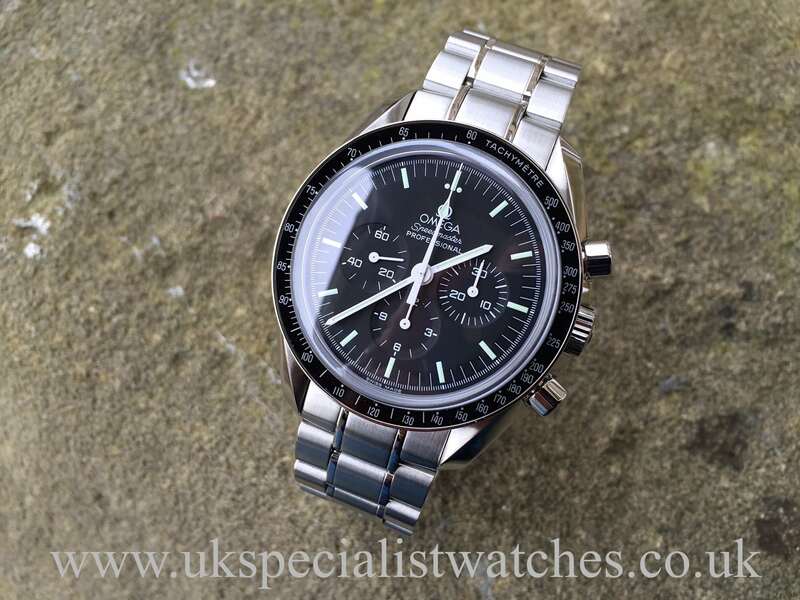 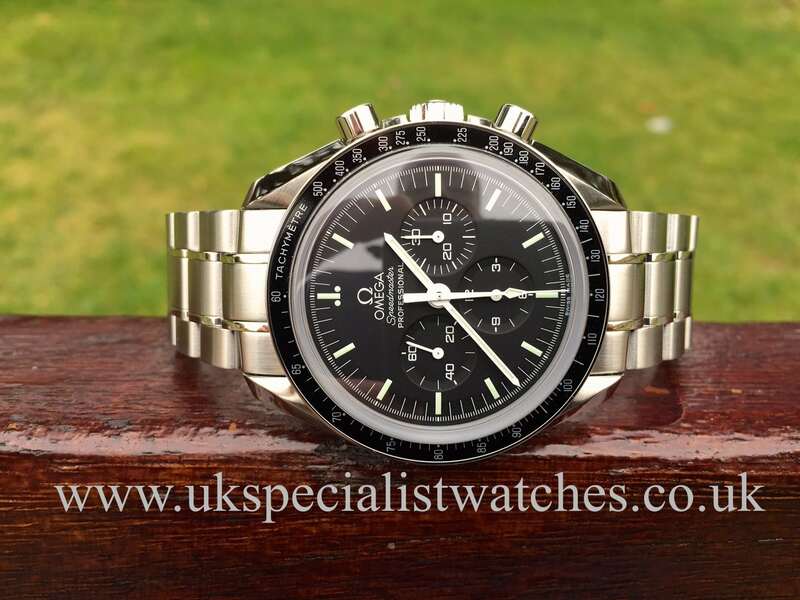 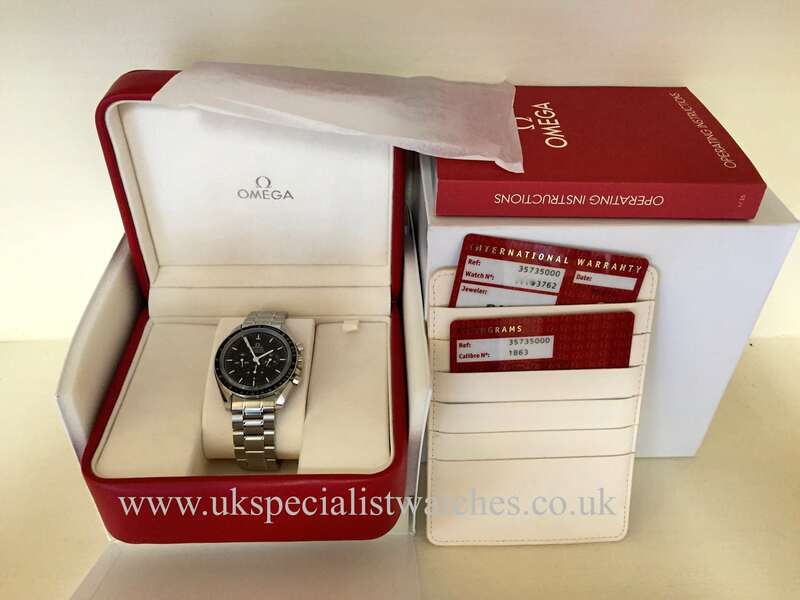 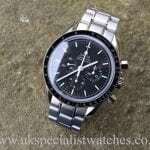 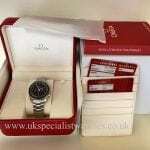 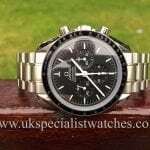 This brand new unused Omega Speedmaster chronograph moonwatch with a 42mm stainless steel case, Black/matte grey dial with luminous hands and hour markers. 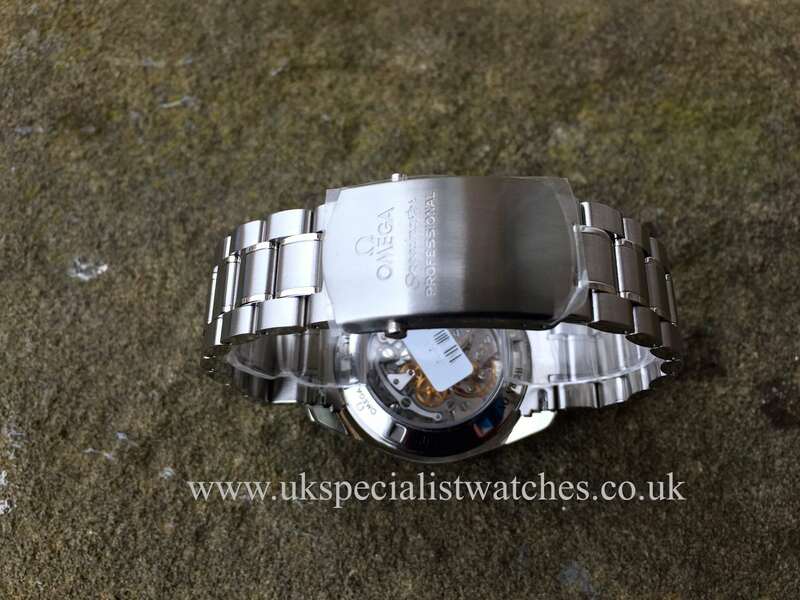 Brushed and polished stainless steel bracelet. 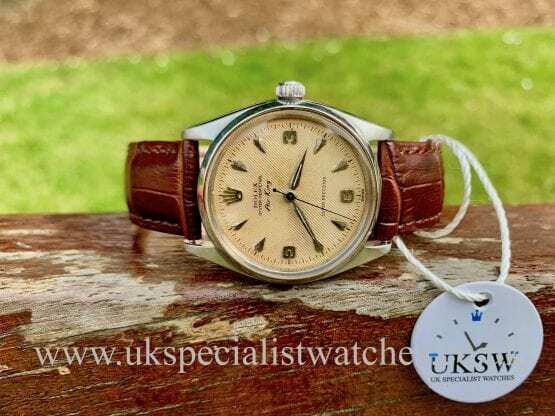 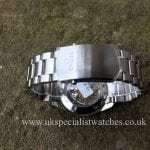 Calibre 1863 chronograph movement, totally as new condition condition complete with all factory stickers. Comes complete with original box, booklets, stamped warranty card etc.